Hope I (1903), which the Gallery purchased in 1970. 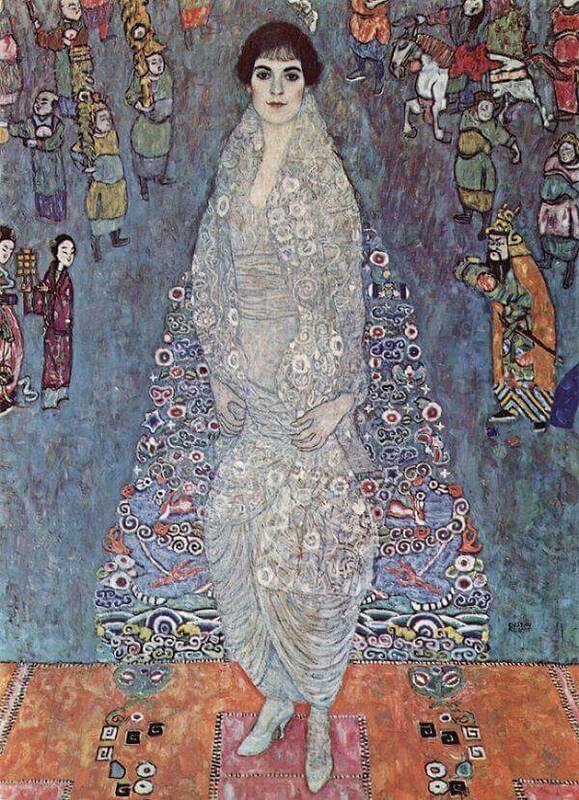 Hope 1 is the only painting by Klimt in a Canadian public collection. The most renowned member of the fin-de-siècle Art Nouveau movement known as the Vienna Secession, Gustav Klimt is celebrated for his painterly expressiveness and extravagant devotion to colour and surface materiality. He sought to break with the past and propose a new style and experimental mode of expression commensurate with the realities of modern life. 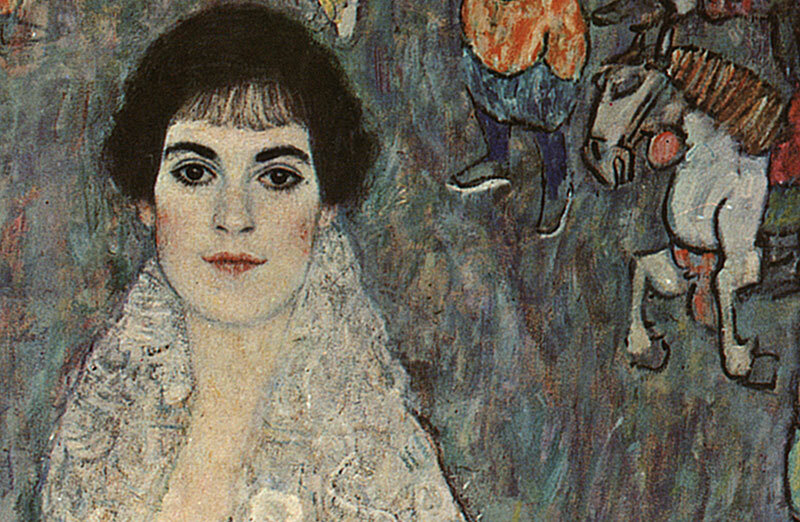 Commissioned in 1914 by the artist’s most important patrons, the wealthy Viennese couple August and Szerena Lederer, Portrait of Elisabeth Lederer (1914-16) portrays their twenty-year-old daughter. Elisabeth Lederer stands life-sized, her expression one of elegant self-confidence and youthful freshness. “Klimt has transformed her cloak into a dazzling, quasi-abstract array of ornamentation and placed her on a brightly-coloured carpet that flattens the space while simultaneously drawing the woman out toward the viewer,” says Curatorial Assistant and Provenance Researcher Kirsten Appleyard. “While the artist is primarily celebrated for his portraits and allegories, ” explains Appleyard, ‘’his landscapes comprise almost one half of his oeuvre from the last two decades of his life.” Indeed, Klimt devoted himself intensely to this genre, retreating every summer to the countryside around Lake Attersee in Upper Austria to paint and reflect. Like the majority of Klimt's landscapes, Forest Slope in Unterach on the Attersee (1916) follows a square format achieved through the use of optical devices such as a telescope or opera glasses. “In this carefully crafted two-dimensional painting, planes are artificially stacked one upon the other, with powerful strokes of related colours creating an overall mood of meditative calm,” says Appleyard. ‘’Klimt’s landscape is withdrawn and timeless—a tranquil daydream. While echoes of Cézanne’s ordered structures and Van Gogh’s expressive handling can be felt, it is nevertheless a work of exceptional daring and originality, ” she adds.